I liked that. I wondered where Apple hid it. What about when you open up Preview. A window opens whereas a few OS’s ago they never did. I would like to get rid of it. System Preferences > iCloud > click on Options next to iCloud Drive, deselect Preview.app. This remains one of the dumbest changes Apple has made. Always one of the first things I do after a clean install or OS update. Right up there with turning off Flick Panning in Photoshop. With every new OS I get more and more sick of Apple’s “courage.” Great to chip away and get our system back. Please, please, please include a “Print” button on this type of article. It’s far to detailed for an old brain like mine to read and remember while following each step. And also, please set it up so that only the actual article is printed. If you are using Safari on a Mac then click on the ‘Show Reader View’ icon on the left hand side of the address bar. That will show the article alone. Is there keyboard shortcut for shutting down the computer? 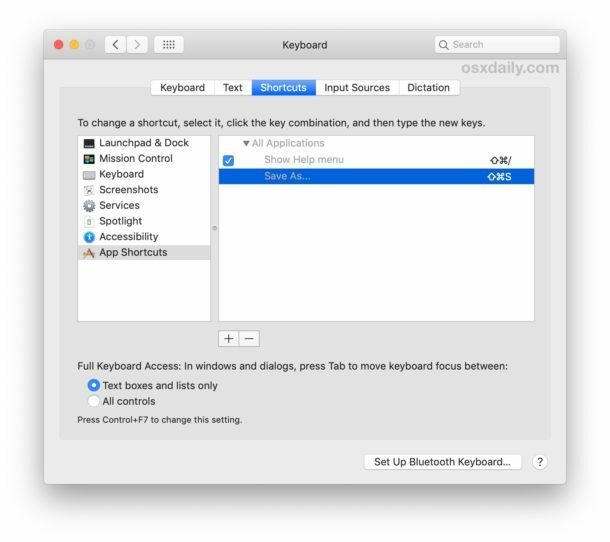 You can create a keyboard shortcut, though you would have to use it under Finder.app. These instructions were to allow me to add “Save As…” to the File Menu using Command-Shift-S, however on my File Menu that was already used for “Duplicate” which is basically the same thing, so in order to get “Save As…” on the menu I used Command-Shift-R and then “Save As…” showed up in the File Menu. Glad to see this back. Tried this “save as” add several times. It adds it but when pressing the “shift, command, S” key it does not work and it does not appear in the file menu. This system is running Mojave. If I press the “Shift, command, option, S” key it does work. But I cannot get it to change the shortcut and work. 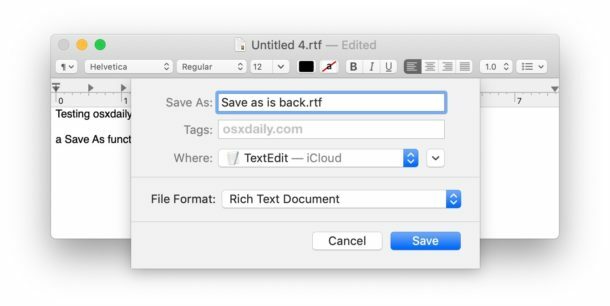 I never liked that Apple replaced “Save as..” with “Duplicate”. It makes for an awkward workflow, IMO. I’m used to Oprtion + S now but they could have come up with a “Sequential Save” with user preferences for options on how to name files. But that’s what macros are for I suppose. When I first discovered this head scratcher of a change, a few OS’s ago, I couldn’t for the life of me understand why it had been done. I still can’t fathom what improvement it signalled. To be honest, it marked the first of an accumulating series of reasons to find more and more fault with Apple’s OS laptop-based support. I think they’re trying to dumb down the OS. Kind of like iOS. Again OSXDaily is over complicating. For any application, hold option when clicking file menu and Save As appears as an option. This has been true for several OS versions, since Apple made the idiotic decision to remove Save as from the file menu. To Print, Command P brings up the print dialog window in any application. This is about returning the simple keystroke for Save As, not needing option modifiers. As you said yourself, Apple made a ill-conceived decision to remove that keystroke and turn it into a more complex one. So why is this over complicating to return the simpler functionality for a keystroke that is obviously popular, and desirable? I want simple, this is simple. No, this is complicated, holding Option while selecting file-save as, is far, far simpler. Nuh uh. What if the user only has one hand? Creating the shortcut is the best way to go! 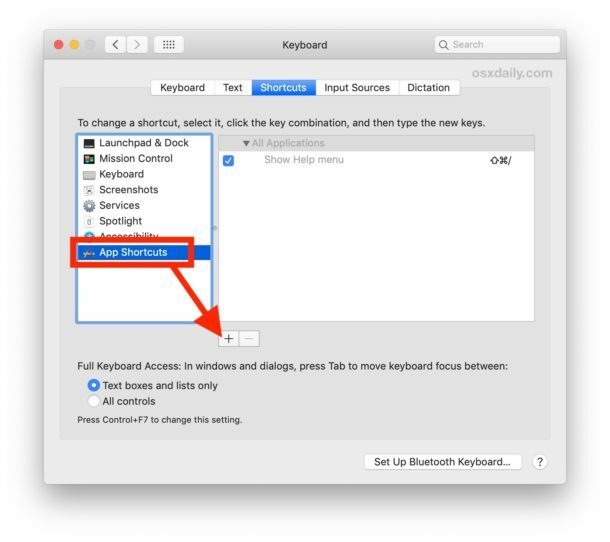 On my iMac with latest version of High Sierra (10.13.6) and the latest version of Pages The “Shift Command S” keystroke combo is already specified by the OS to invoke “Duplicate”. Still, as mention, you can always press the option key when in Pages and “Duplicate” changes to “Save as…”. That is the intention of the article. Whenever I do this on a new install it is for the pure purpose of eliminating the “Duplicate” and using “Save As…” instead. I would imagine others find no use to the “Duplicate” and would much rather have Save As. You can bring up Save As by just holding down the Option key when you call up the File menu… Why go through all this effort to make a more complicated keyboard shortcut? From my point of view a menu should contain everything that can be done relating to that menu entry and shortcuts should be ways to quickly access the various items under that menu entry. That way those who know and remember what the shortcuts do can use them. Anyone else can always find and use the various items via the menu. As it is, if you don’t happen to know that holding down the option key and calling up the File menu will get you to “save as” there is nothing about the system that would lead you to even suspect this is true. It’s really about user friendliness. Is there any way to have the startup chime on a later imac? I have turned on verbose logon so i can at least see that it is doing something when i want to go and do another task. Why do apple have to keep fiddling? I’m running Mojave on a 2016 MacBook Pro. By default, the Save As… keyboard shortcut was set to Command + S and there was no default shortcut (in the File dropdown menu) for Save. 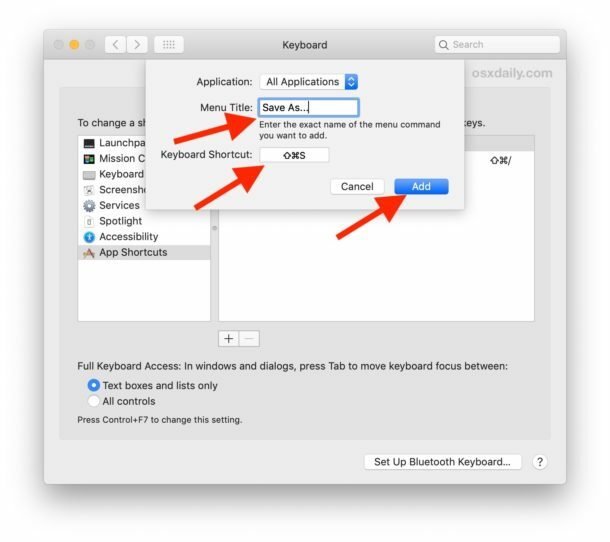 So I went to System Preferences > Keyboard > Shortcuts > App Shortcuts where I highlighted the default shortcut for Save As… and pressed the – button to delete it. Then I replaced the Save As… shortcut with Command + Shift + S and added Command + S as a new shortcut for Save. I use the Apple Pages app for my word processing, but occasionally I must use Microsoft Word. 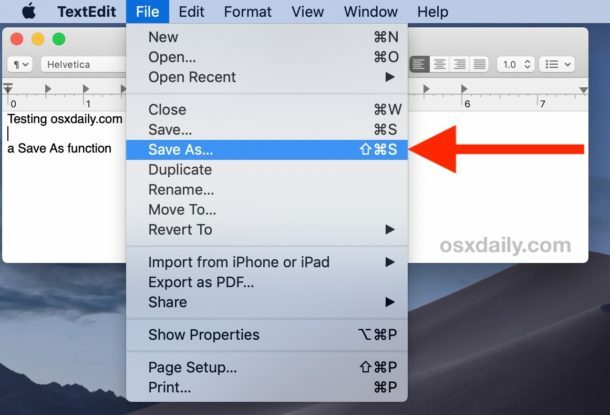 I had noticed that the shortcut Command + S is used for both Save and Save As… I always wondered why this easy shortcut wasn’t used in Pages. Don’t forget “Save…”, it is not pictured. Protip: Some devs don’t use three dots but the option-; dots (… vs. … <- select that to see what I'm talking about), so to be uber-sure, add Save As… as well. Oh, and: Duplicate should be command-d (classic behaviour), I have that added as well.